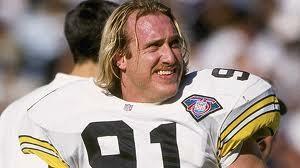 The Packers will not have fiery OLB coach Kevin Greene on the sidelines in 2014, as the team has announced he is stepping away from coaching the team. Greene says he is stepping away to spend more time with his wife and children. Coach Mike McCarthy announced Greene’s decision on Friday. In a statement, Greene says he will miss coaching and will try to return after his children go to college. The former NFL linebacker calls his experience with the Packers nothing but positive. Greene is also up as a finalist for the Hall of Fame, which will be announced the night before the Super Bowl. In Greene’s five seasons with Green Bay, the Packers recorded 204 sacks, fourth in the NFL over that period. Outside linebackers accounted for 91.5 of those sacks. One player that Greene had a huge impact on is Clay Matthews Jr., who will for sure miss Greene’s guidance.